Daniel Evans: Do all theatre audiences respond in the same way? Here’s a question I ask myself from time to time: is there actually just one audience? Are the people with whom we share the work we make one homogenous body? Of course, there are differences in class, creed, colour, geographical location and socio-economic background. But beyond those distinctions, is it possible that audiences generally respond in the same way? Take a popular touring show. Is it possible to define what distinguishes the reaction in Sheffield from the one in Southampton? Or, considering audiences beyond theatre, does the Netflix audience behave in the same way watching television as at the theatre? 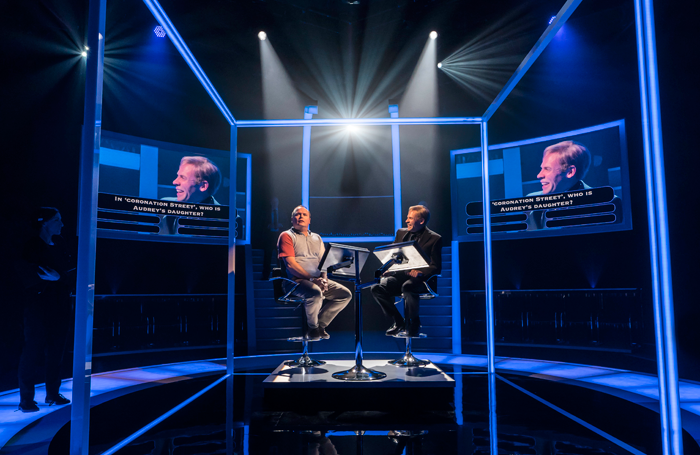 Recently, when I was opening the play Quiz in the West End, I was struck by the common responses from the London audiences and those in Chichester. The two cities are only about 80 miles apart, but it was fascinating to observe, at each stage of the performance, the corresponding reactions to the play. This particular piece includes many elements of interactivity, and there it was: the initial collective reticence or shyness to dive into ‘audience participation’ (a phrase that normally makes me run for the hills). But at a certain point in the action, that reticence ebbs away and the audience is suddenly on board. Perhaps not everyone – some are hard to win over – but the vast majority. The laughs happen in the same place. The rounds of applause too. The play’s twists and turns cause gasps and expressions of recognition or sympathy in the same places. Crucially, at the end of each act, the audience is asked to vote on the guilt or innocence of our protagonists. Here too, the audiences conform to a certain pattern. While we’ve only yet performed a few weeks’ worth of shows, the data is clear: the percentages of guilt versus innocence in London are broadly similar to those in Chichester. Interestingly, one of the votes seems, at times, to echo the result of the Brexit vote. These results would seem to suggest that, yes, there is one audience. At the same time, I’ve also been struck by their differences. The London audience is certainly much keener to pick up on any reference – veiled or otherwise – to recent reality TV shows. Is this a signal of their more metropolitan TV habits? Our London audiences seem less reticent about vocalising their success or failure at the pub quiz in the play. Are Chichester audiences simply shyer? Or does a larger theatre make it easier to remain anonymous and, therefore, react more boisterously, as the Noel Coward has three times the capacity of the Minerva. Members of the London audience seem to drink more. Is their theatregoing more connected to having a social night out? So, is there actually one audience? Yes and no – it’s 50:50. While different sensibilities may cause a plethora of different reactions and behaviour, there are also so many elements that bind us together. And theatre binds us together like no other art form.